Are Down Sleeping Bags Dangerous? Are Down Bags Really So Dangerous? Why Do Down Bags Get a Bad Rap? Any Tenderfoot knows that down sleeping bags are really good. They are light, warm, and can be crammed down really well into a small stuff sack. However, down sleeping bags have always had one really big flaw. When they get wet, they lose their ability to insulate and if you try and pass the night in a wet down bag – you can get really cold, really fast. Synthetic sleeping bags, on the other hand, are made from petroleum-based products and are naturally more water resistant. 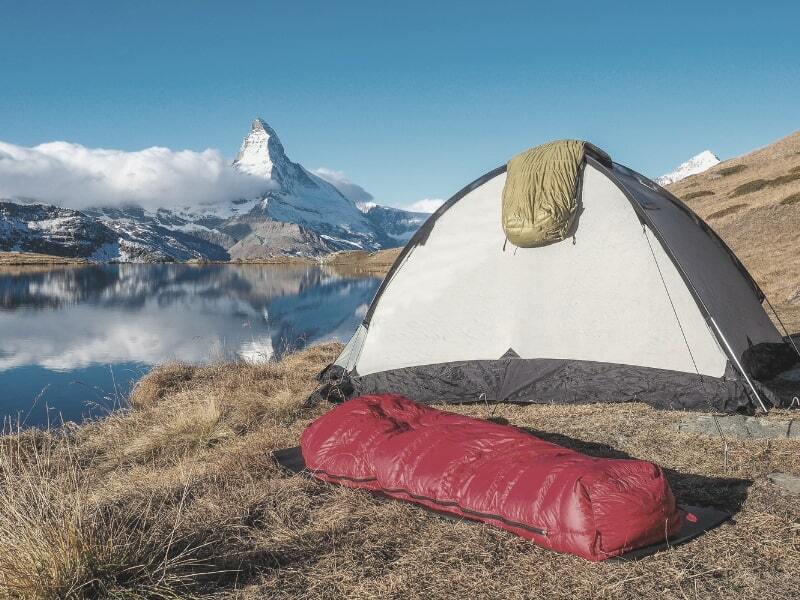 Choose the right 2 person tent for your needs with our detailed buyer’s guide. Lightweight camp chairs can help take the weight off your feet at the end of the day, without necessarily adding substantially more to your pack. The danger does not come from dropping a down bag into a river while attempting a risky crossing. Moreover, the bag does not have to be completely soaked to cause problems. Down sleeping bags absorb moisture out of the air. So at 80-90% humidity, a 20 degree down sleeping bag can lose 30% of its loft overnight, effectively turning it into a 40-degree bag. A sweaty Scout, a leaking Camelbak, or when camping in snow – contact with snow and rain can also seriously degrade the insulation of a down bag, with potentially serious consequences. That is why many Adult Leaders do not allow their Scouts to take them on high adventure outings. 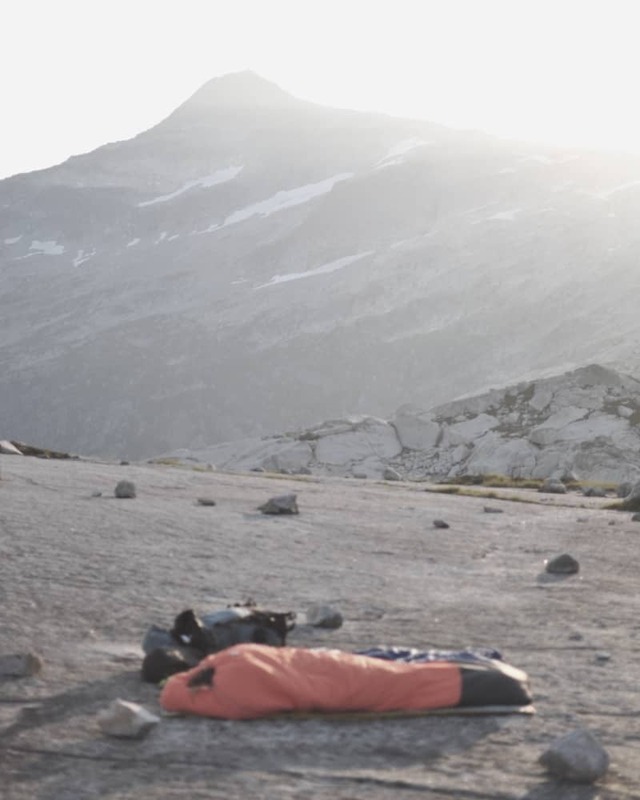 However, recently the outdoor industry has introduced a new line of down sleeping bags (and jackets) that minimize or eliminate the “wet down” problem. As a result, down products are going to become a lot more acceptable on backpacking trips. Most sleeping bags sold over the past decade have been made from goose down. However, goose down is being replaced by duck down as the feather of choice because duck down is cheaper and more sustainable. Unfortunately, duck down sometimes smells funny, especially when it gets wet. So vendors like REI, Mountain Hardware, and Sierra Designs have been looking for a way to clean the duck down and eliminate the odor. At the same time, chemical engineers at these companies have long been thinking about ways to reduce the problems associated with wet down. Recent advances have led to a cleaning process that produces duck down products that are much more water resistant than common goose down bags. This treatment is done on the molecular level and leaves a polymer coating on each duck feather that resists moisture and inhibits the “feather clumping” that reduces loft and insulation. These new down bags also dry much faster if they do get wet. Amazingly, the process works without adding cost or weight to a typical down sleeping bag. Since these new down sleeping bags are being manufactured by some of the most environmentally conscious companies on the planet, they hopefully have tested everything to make sure there are no chemical hazards to users. Given the many benefits, virtually all of the other outdoor product suppliers have already introduced their own “Dry Down” products in coming months. There are a few different labels today. Kelty and Sierra Designs use a process called DriDown. Big Agnes calls theirs DownTek. According to the DriDown website, a down sleeping bag that uses their “hydrophobic” treatments will stay dry 10 times longer than normal down, retain 2.7 times as much loft when it gets wet, and dry 33% faster than untreated down. 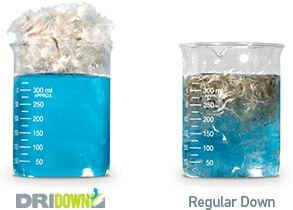 This makes DriDown comparable to synthetic sleeping bags in terms of their ability to deal with moisture. Consequently, there are going to be a lot of Scouts and their parents who will want to purchase them to get the inherent benefits of a down bag – despite the higher cost of down versus synthetic sleeping bags. Many Scouters are set in their ways, and in the mistaken belief that they are protecting their boys, they often resist new backpacking products and techniques. Some Scoutmasters will doubt that DriDown is about as safe as the synthetic sleeping they have been using for years. So the question is, “How long will it take Scout leaders to allow their boys to use the new treated down products.” It’s just a matter of time until they start showing up at summer camp – or on a 50-mile backpacking trip. No, down sleeping bags aren’t dangerous. Remember always that cold is a mortal enemy of sleep. Sleep deprived Scouts (or adults) are a serious liability to any trek. Stay dry. There are three iron clad rules to cold weather camping 1) Don’ get wet! 2) Don’t get WET!! and 3) DON’T GET WET!!! And that says it all. I’ve been using my 20 degree down bag for a few years now, after it replaced my cat’s meow (poor experience with this bag). I do agree that regular down bags can be slighty affected by high humidity, and I have had a few nights where I was almost cold, but otherwise I have been very happy. I do believe that the versatility in temperature and weight of down bags makes them superior over synthetic. However this is simply my opinion and has no correlation to fact. I like down better, but you may like synthetics better. With dridown, what’s there not to like?